We are excited to introduce Dao Foods International, the brainchild of The Good Food Institute and three venture capital firms: China-based Dao Ventures, U.S.-based New Crop Capital, and Canada-based Moonspire Social Ventures. This international collaboration is launching to feed China’s growing appetite for meat with sustainable alternatives. By leveraging existing relationships and expertise in both North America and China, Dao Foods plans to bring plant-based and clean meat to the Chinese market in this critical moment for the global food supply. 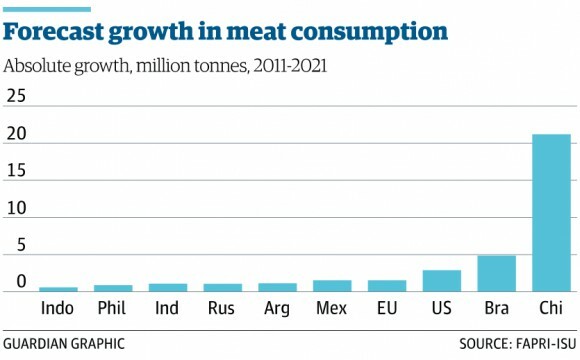 That is, meat consumption in China is skyrocketing as incomes increase: China alone consumes more than one-quarter of the world’s meat, including half of its pork. Despite efforts by the Chinese government to cut the country’s meat consumption in half by 2030, both production and consumption continue to rise. As diets radically change in China, we need plant-based and clean meat options that can directly compete with the products of industrial animal agriculture – especially if we have any hopes of combatting climate change and public health crises such as antibiotic resistance. Dao Foods plans to seed and accelerate the shift away from animal products and toward better alternatives, capitalizing on investor interest and changing tastes. Stay tuned for updates as this mission-driven collaboration drives dietary change on a mass scale by making sustainable eating the easy and delicious choice! To learn more about GFI's work to build a healthy, humane, and sustainable food supply, click here.